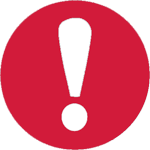 Thousands of people having lost livestock and loved ones have been forced to migrate to avoid further fatalities. 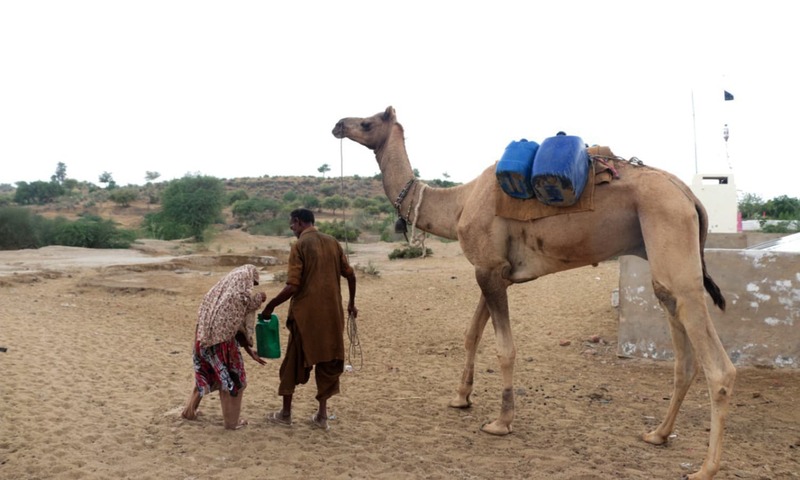 The rain-dependent desert region of Thar is once again facing the worst drought conditions due to completely insufficient and erratic rains this year. Thousands of people have started to migrate to barrage areas in search of food and fodder, hoping to avoid further fatalities of livestock and children. 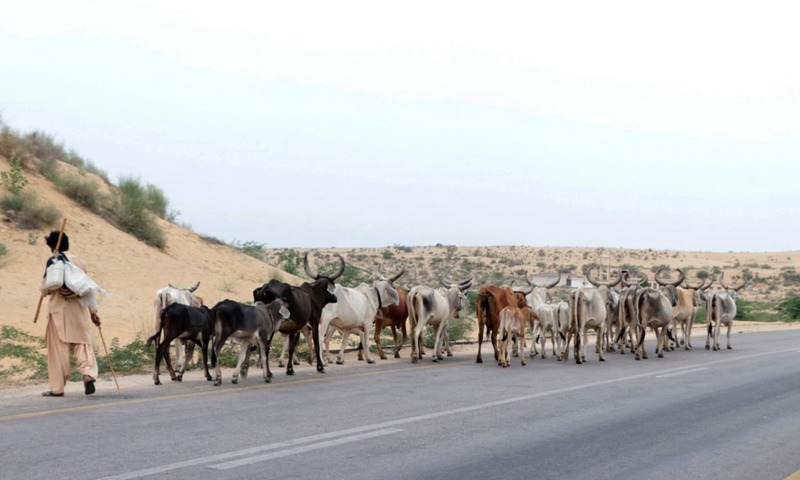 According to details provided by people from across the desert region — who only have a few heads of cattle as a means of financial support — after finding no respite from the calamity, have started migrating to barrage areas of Badin, Mirpurkhas, Umerkot, Sujawal, Tando Allahyar, Tando Mohammad Khan and other districts. A man migrating to barrage areas in search of water with his cattle. 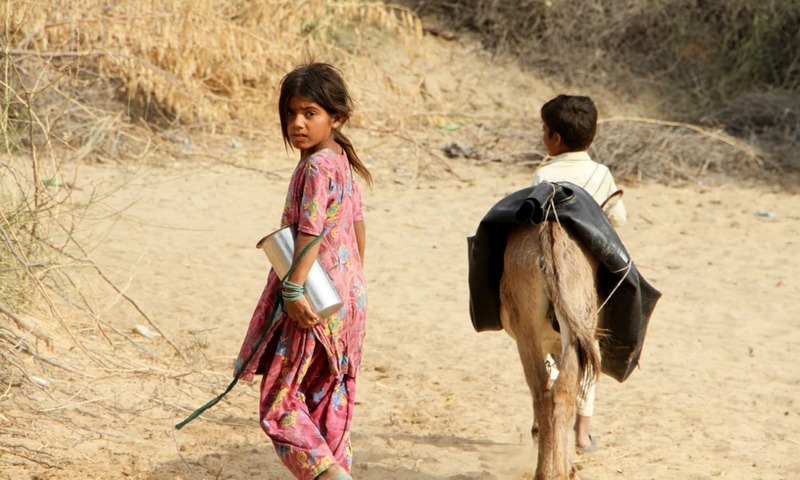 A young girl and boy set out to look for water. 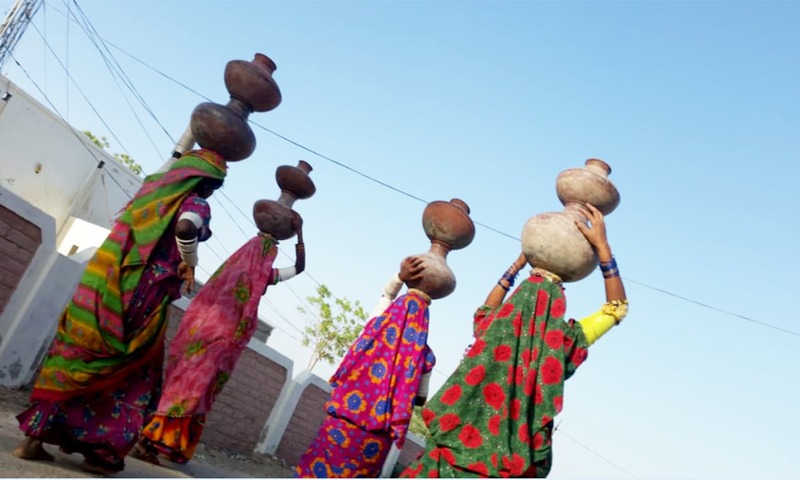 Women have to travel miles in search of water for their families. 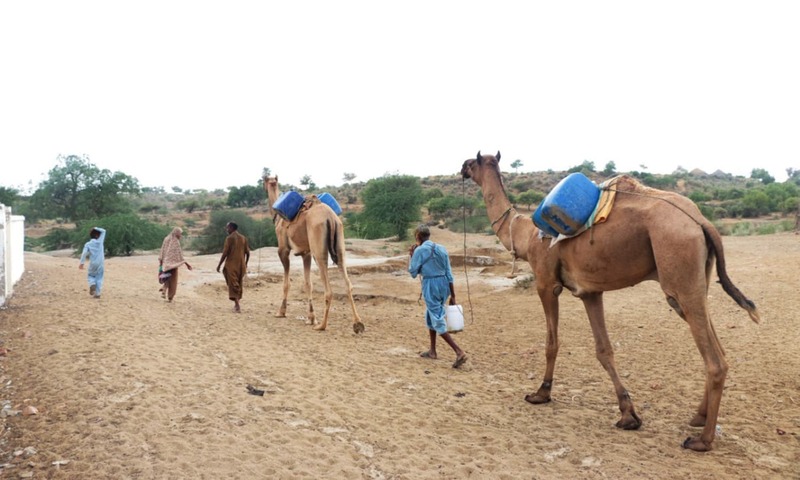 A number of Tharis travelling to the irrigated parts of Sindh from various villages, termed the current drought as the worst in almost two decades when various parts of Thar did not receive more than 10mm of rainfall during the monsoon season. Details obtained from various sources in the health department in Mithi revealed that outbreak of water-borne diseases and viral infections, along with malnutrition and other complications have so far claimed the lives of 440 infants this year alone. A modest dwelling commonly found across the poverty-stricken region. 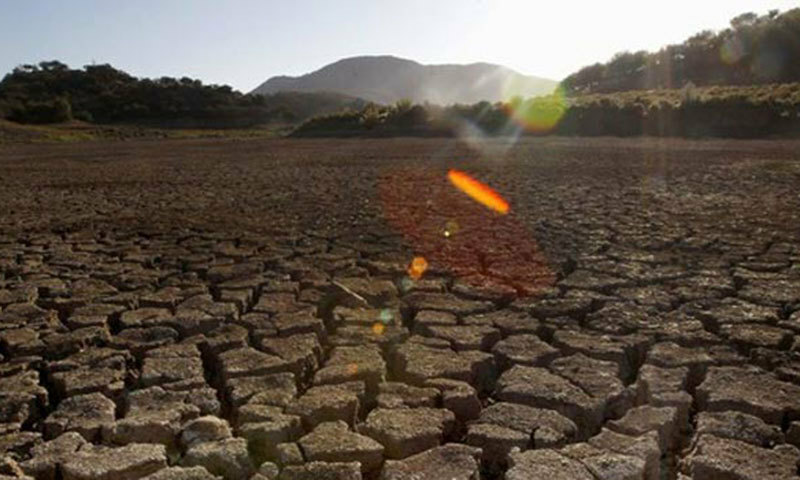 Chief of the Rural Development Association (RDA), Mohammad Siddique Rahimoon said that the region spread over 22,000 square kilometres is once more faced with severe drought which was not only taking its toll on infants, but also pregnant mothers, livestock and rare species of wildlife. He said that areas of Diplo, Mithi, Kaloi, Islamot, Nagarparkar and Chhachhro received very little to moderate spells of rain, that too less than 100mm. These instead of being a blessing, further worsened the situation for farmers as the seeds of their traditional crops either could not germinate or got withered away due to the absence of timely rains. An empty animal shed with no longer any inhabitants to sit or stand under it. 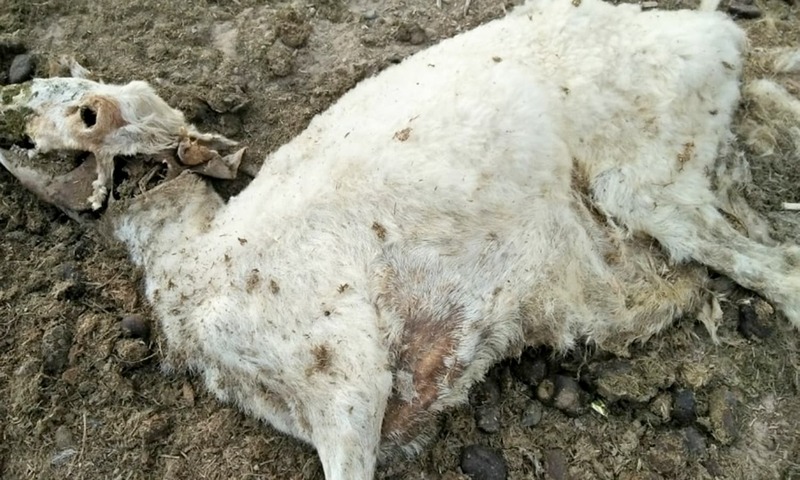 The corpse of a cattle which likely died of thirst. 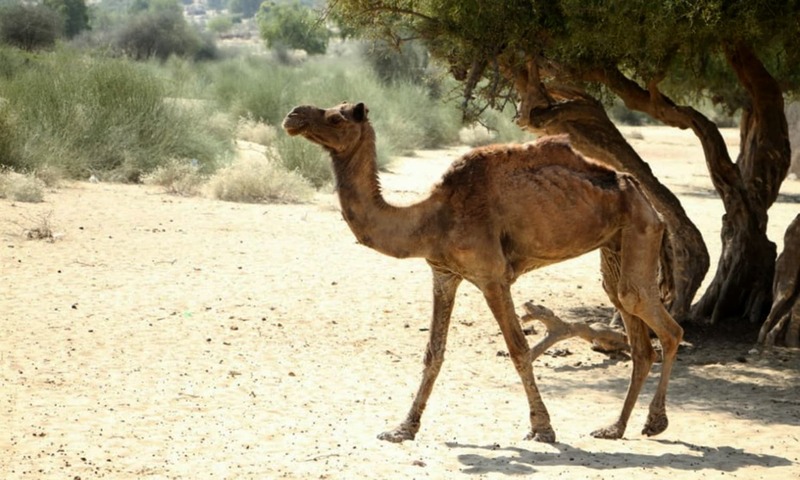 An emaciated camel in all probability out of water reserves in its body. 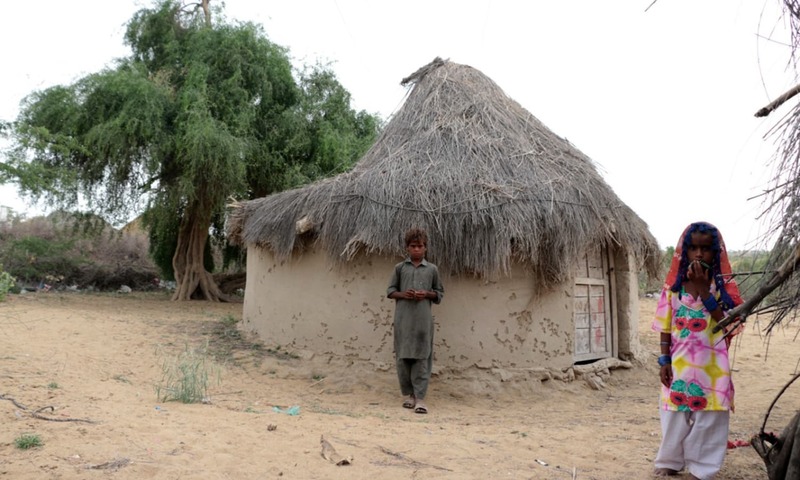 He was of the opinion that long-term policies are the only viable solution to such chronic issues and urged that the draft of the Thar Development Authority which was envisaged and drafted by experts five years ago, be presented in the Sindh Assembly. He warned that issues of health and malnutrition would continue to haunt Tharis if sustainable and concerted efforts were not made at the provincial level to address them. Rahimoon also demanded the functionaries of Sindh to completely ban the felling of trees in the wake of this terrible drought by imposing Section 144 in the whole district. 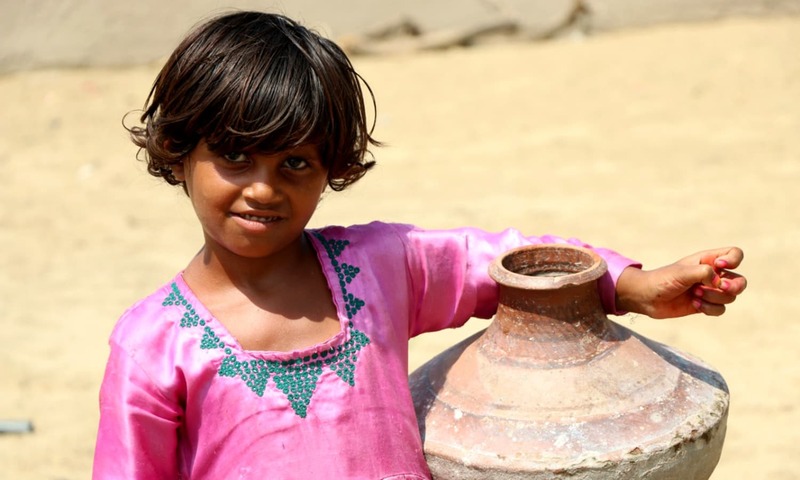 Water wells have dried up, forcing Tharis to migrate to barrage areas. 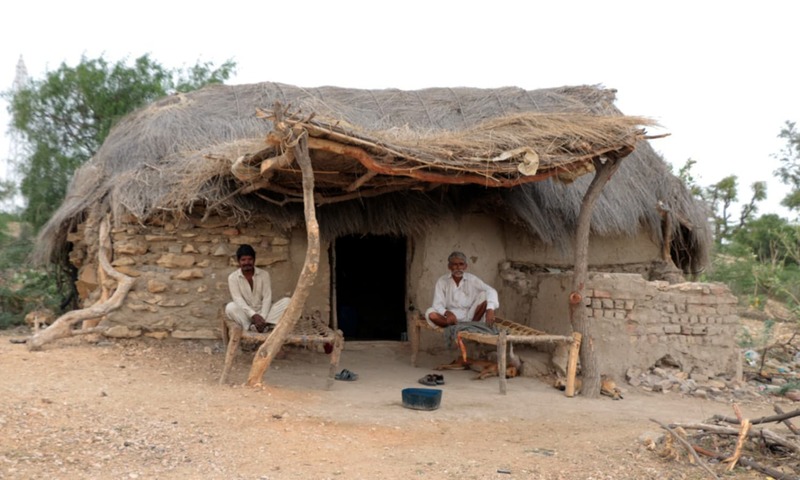 The CEO of Thardeep Rural Development Programme (TRDP), Dr Allah Nawaz Samoon, claimed that there are indications that the situation might turn out to be more serious and alarming than when Thar had suffered in the 1985-1987 period and then again from 1999-2000 when thousands of Tharis had to migrate to the barrage areas after the outbreak of diseases, both in humans and livestock, with nothing left to eat and drink. 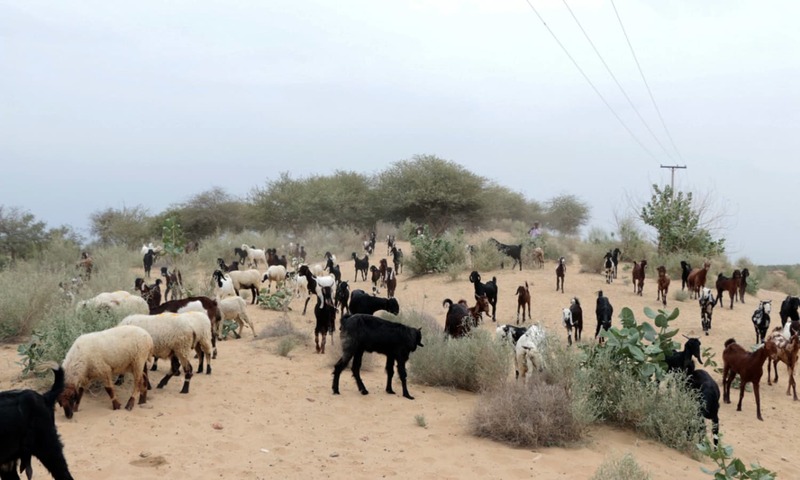 Drought is a recurring phenomenon in the arid region of Thar, which requires long term solutions along with short term measures for affected communities. Dr Samoon said that there was a dire need to involve village volunteers in relief activities. A bewildered boy looking at his now dead companion. In addition, activities such as promoting water conservation, setting up of fodder and forage banks for local communities can contribute towards the saving of livestock which is the backbone of such poor people's livelihood. Livestock is left with few options of foraging for food in the wild. He said that it was matter of great concern that over 370 cases of suicides had been reported from the desert region during past 6 years mainly due to poverty and other societal issues. Most of the wells — the main source of obtaining water for consumption by humans and their livestock alike — have already dried up and Tharis have to travel miles in search of water, he added. Every day is a trial for the residents of this rain-dependent region to secure water. One of the only water sources which offers some respite to the drought-ravaged land. 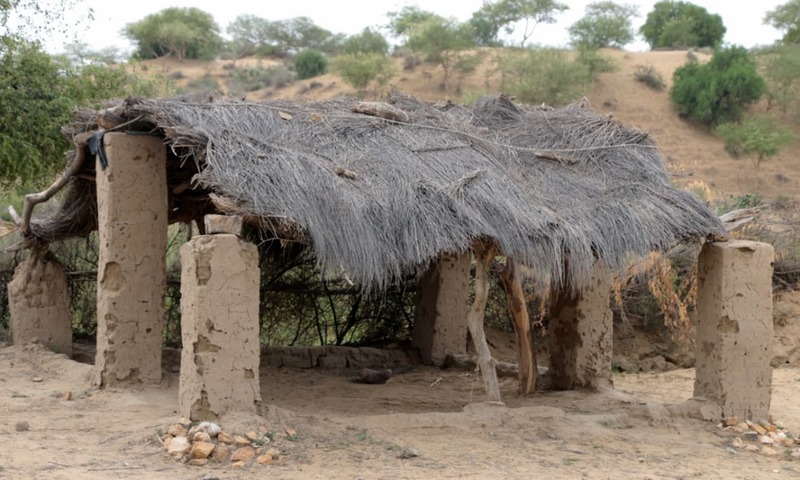 Noted writer and poet Professor Noor Ahmed Janjhi said that "the situation in Thar needs extensive planning to address drought conditions with a focus on disaster preparedness, mitigation, and rehabilitation including alternative sources of livelihood provided to the people entrapped by poverty." The proper looking after of pastures, livestock rearing on scientific basis, discouraging unnecessary cultivation are some of the measures which can help combat the risk of a full-blown disaster. No question of uprooting for many who vow to never leave the land of their ancestors. Countless young children robbed of a bright future to due the government's apathy and lack of action. What future lies in wait for this young girl? —All photos provided by author. @Owais Khan , I am with you on this. If the government doesn't have enough resources at least it should cooperate with and support non-profits to improve conditions in Thar. As long as PPP rules Sindh nothing will progress. Sindh needs either PML or PTI for development. Beautiful pictures. 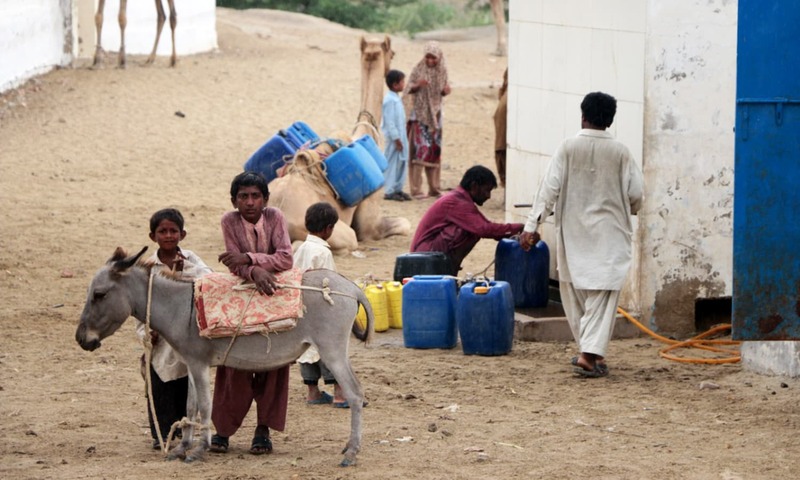 Get some water tankers to Thar. Very sad indeed.these so called well wishers of thar will InshaAllah be benefited by their tall claims before donors of revolutionizing the future of tharis. And yet they will vote for PPP blindly. 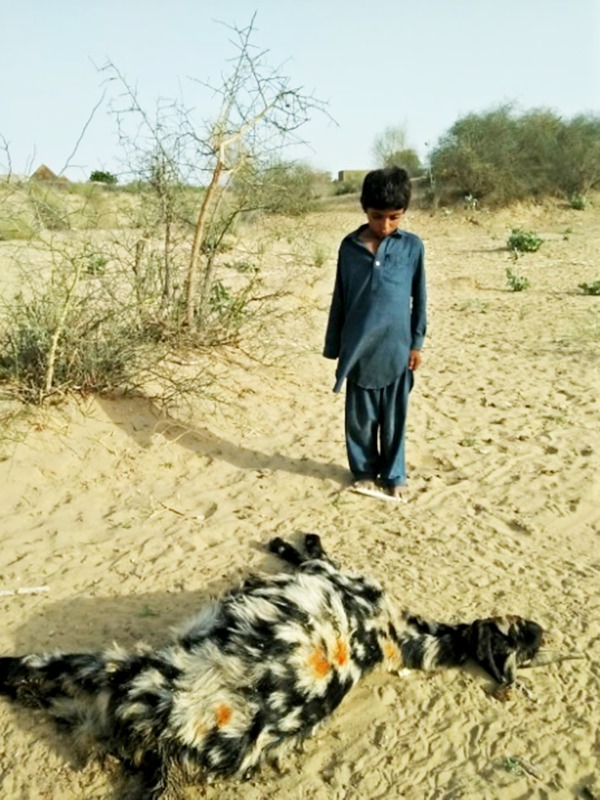 The old story of drought and hunger is repeated again across Thar, but rural Sindh keeps on voting the same corrupt PPP politicians over and over again, into power. I have been to the Indian side of the same desert and it is a shame for all of the corrupt politicians of Pakistan, that how the Indians have turned the same desert into a green desert, while the corrupt PPP lot is only interested in filling their own bank accounts but look on the brighter side ..Bhutto Zinda hai, while Tharis are dying. If the federal govt cares the people and the water scarcity they talk about, PM Khan should visit Thar and help the poor and destitute there. And they will continue to vote and die for Zardari party. The new government of the Republic needs help with the Pakistanis,Indians and others living overseas can help, to raise funds for the new government to avert this major disaster and any funds donated must go to the new government and no other group. If you notice they are all Hindus. And this CM of Sindh saying we dont require dams! 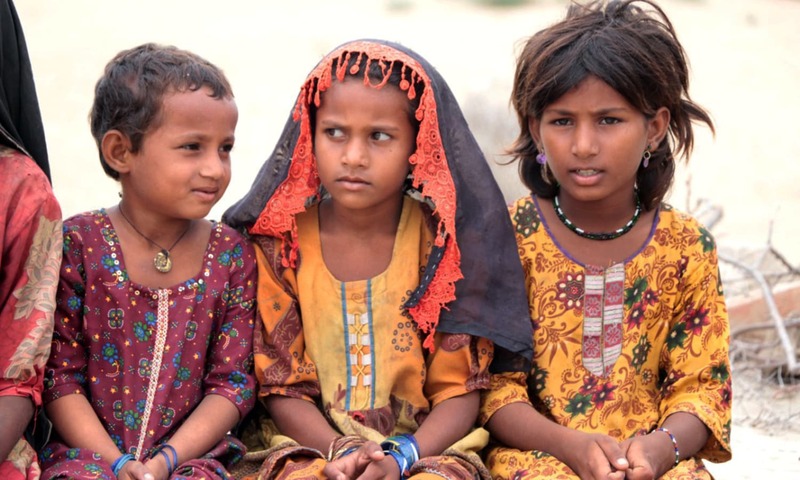 Let them spend a week with poor of Thar and the will realize the preciousness of water and life. @Just Saying then what? Its also our resposibility to protect the minoritoes reagrdless of their religion or race. Mr Zardari and Mr Bilawal, where are you. Your PPP government is in office, the MNA and MPA are from PPP. Could you fly across from your abode in UAE and deal with this ,personally. Shameful.